Each year, Christmas comes early with our famous Festive Shopping Fayre. The smell of gingerbread, mulled wine and the soft sound of carol singers will really get you in the Christmas spirit. 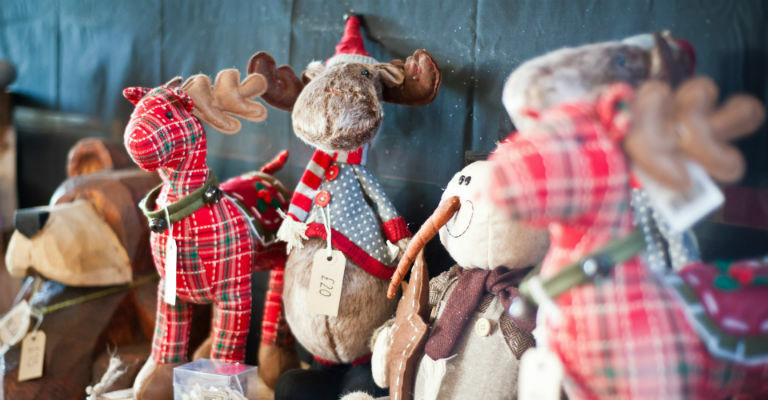 More than 150 stalls ­filled with the finest handmade gifts, decorations, jewellery, fashion, children’s toys, craft beers, artisan spirits, food and much, much more! Important event information: Ample free parking & shuttle bus from car park to hall / marquee. Please wear appropriate footwear. Please note: we are unable to accept lunch and dinner reservations during the Festive Shopping Fayre. Due to high visitor numbers, advance booking is recommended, although payments will be accepted on the door.